In 2003, David Goff had a brain aneurism. As a result of his stroke, and the onset of a rare brain syndrome, he nearly died and ended up permanently disabled. This experience had a transformational effect on David, which made him “Lucky,” and cued him into how radically connected all things are. This broader awareness now informs his approach toward what it means to be human. 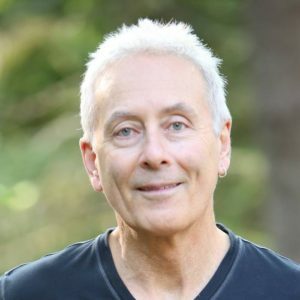 He maintains a psychotherapy practice specializing in psycho-spiritual development, and also writes extensively about the aging and elder experience and the psychology of interdependence. 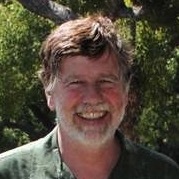 He is author of Embracing Life: Toward A Psychology Of Interdependence. He can be reached at dg1140@sonic.net . 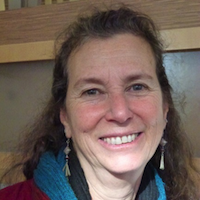 Lynne Iser became an “elder activist” motivated by her love for her children and the beauty of our world. She was the founding Director of the Spiritual Eldering Institute, now teaches in the ALEPH Sage-ing® Mentorship Program, and offers her own workshop series, “Becoming Vibrant Elders in Our Evolving World”, using the teachings of Joanna Macy. She founded her website, Elder-Activists.org, to inspire, educate, and support others, primarily on issues concerning climate change and social justice. When she discovered CEN she knew that she had found “her tribe’ and now serves as the co-convener of the CEN Elder Activists Social Justice Team. She is a recent empty nester, living in Philadelphia. John Robinson is a psychologist with a second doctorate in ministry, an ordained interfaith minister, the author of nine books on the psychology, spirituality and mysticism of aging, and a frequent contributor to Conscious Aging conferences, magazines, and websites. An aging Boomer, John lives with his wife on an island in the Puget Sound of Washington State, and is the happy grandparent to a gaggle of grandchildren now numbering seven! You can learn more about John’s work at www.johnrobinson.org. 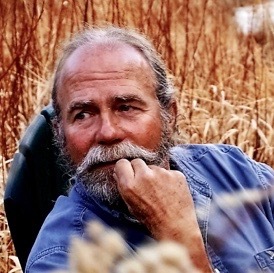 Rich Silver, MA ABD, is a retired CA State Park Ranger and an award-winning educator and practicing EcoPsychologist. He is the founder and director of the nature-based wisdom school University of Earth, where he guides the school’s online graduate program in EcoPsychology. He also directs the EcoLiving & Learning Project for modeling the creation of a sustainable, life-enhancing society at UofE’s eco-spiritual campus in the Northern Sierra Nevada. As a lifelong devotee of creating a world that works for us all, where the human community, the natural world, and divine worlds go forward as one sacred community, Rich utilizes and teaches sacred subtle activism practices for personal and planetary transformation. Will Wilkinson is an author and presenter living in Ashland, Oregon with his wife and guru (a cat named Yogi). Will has eight books in print and has developed and delivered educational programs for decades. His most recent book, Now or Never, A Time Traveler’s Guide to Personal and Global Transformation—with a foreword by modern mystic Andrew Harvey—invites readers to take a stand and “be the change we wish to see in the world.” Will provides mentoring through a course of study, Living on Purpose, available through his website willtwilkinson.com.